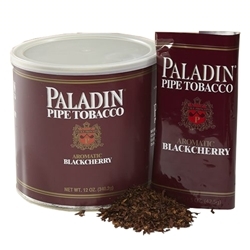 Paladin Pipe Tobacco always promises you a combined superior blend of the finest flue cured and burley tobaccos. Each 12 oz. can or pouch is gently aromatic and balanced for taste and mildness. Paladin combines a superior blend of the finest flue cured and burley tobaccos. Try this American classic today, always at a discount price right here at Smokers Discounts.